NEW! Satellite TV, tongue-and grove, elevated deck, patio. 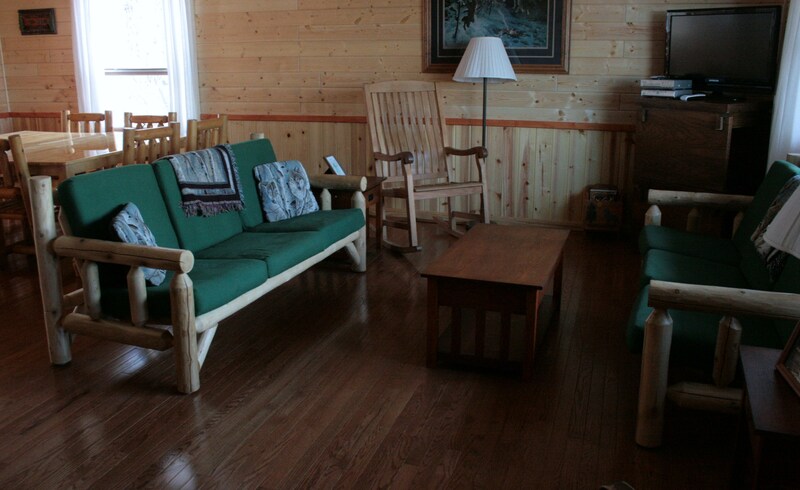 This Northwoods home on a secluded, forested hilltop with a view of the lake offers maximum privacy and quiet. 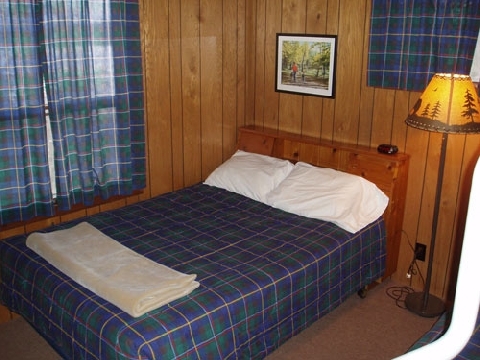 Four carpeted bedrooms accommodate a large family, groups of friends, or a reunion, up to 15 in comfort. Carpeted living room with floor-to-ceiling windows. 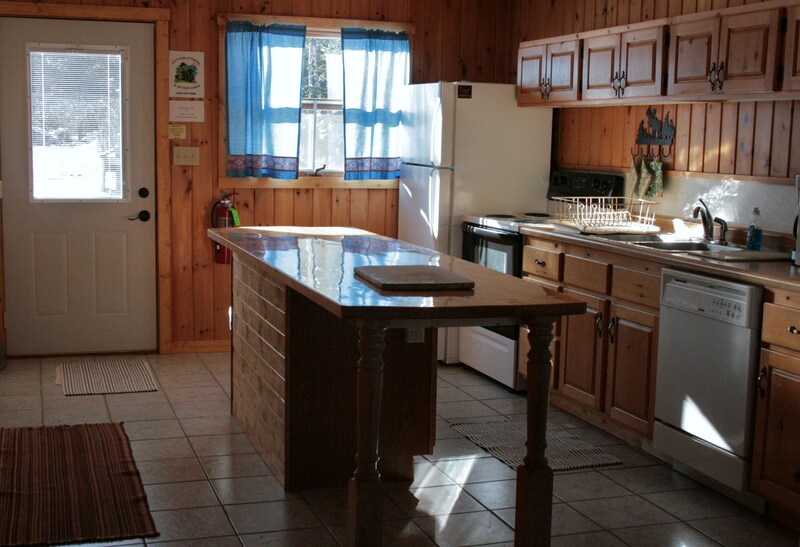 Extra spacious kitchen with microwave, and food preparation island. Two full baths with oversized showers. Private drive. Large wood deck. NEW! 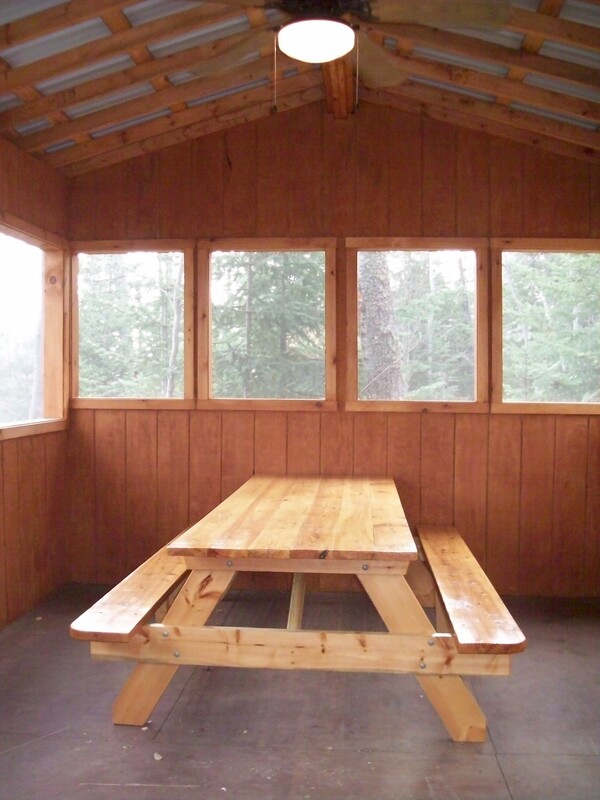 Satellite TV and a Large Screened Dining Deck with Lake View.